No island in Europe where every season many new places open and close as in Ibiza. Do you want to know where the new hotspots are? Then read this article quickly. These hotspots are not all known to the general public yet. The selection we have made is spread over the entire island. So there is always a nice hotspot in your area! 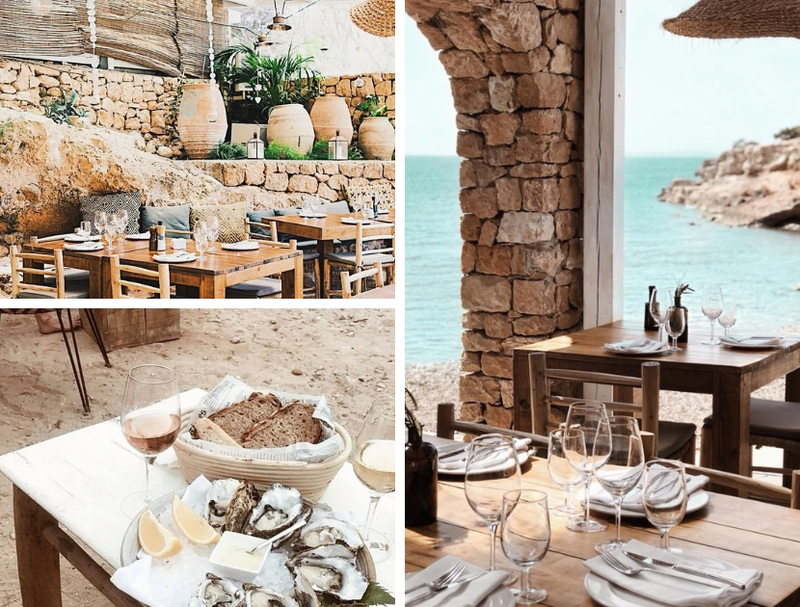 From food markets to high-end restaurants, this hotspot list has everything to make your summer in 2019 a success. Have fun reading. S’estanyol was often skipped by visitors as a beach. This was somewhat understandable since the previous beach club was a bit of faded glory and the seaweed was not cleaned up. That changed, however, when Cala Bonita took over the old place and had a thorough clean up. It now exudes a bit of the same atmosphere as Aiyanna but slightly less pretentious. The old, worn out sun beds have been replaced by wooden beach beds with lovely white cushions. However, this hotspot is still not very well known to the general public. There is a cocktail bar that even brings the cocktails on your beach beds. The beach has been completely cleaned up and the ugly duckling has transformed into a beautiful swan. Every Sunday you can find the market of San Juan on the square opposite Giri Cafe. 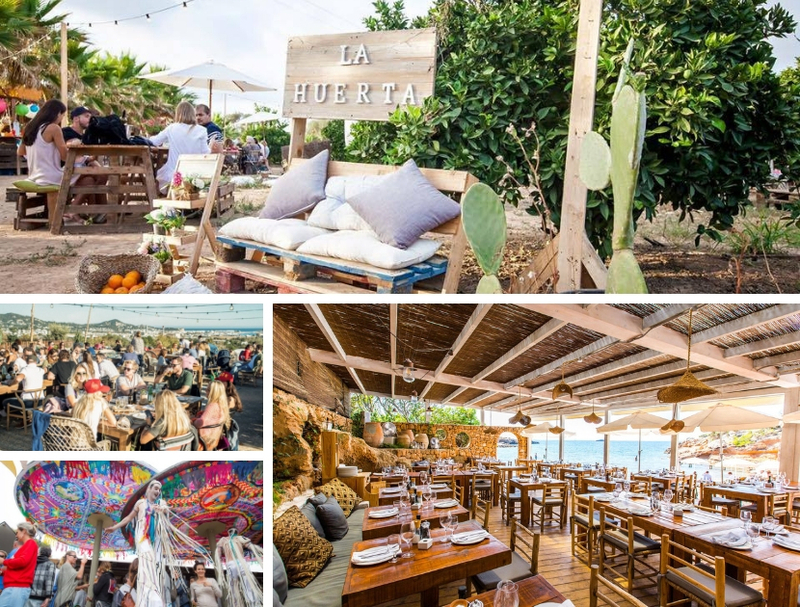 Some people think that this is the last piece of authentic hippie market in Ibiza. It is very small-scale, especially if you compare it with markets like Punta Arabi and Las Dalias. You will find many regional products, tarts, fruit and all kinds of oils. In 2018 this market also started with the sale of modern art in a special corner where all artists have their portfolio. When the church service is finished, usually around 12 o’clock, the live music starts at the market. The market itself starts at 11:30 and ends at 3 o’clock. 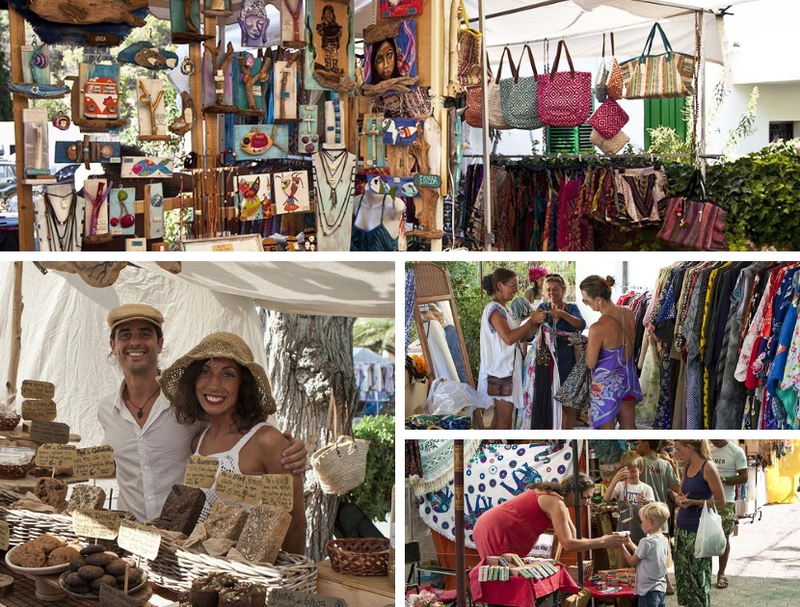 Combine a visit to this market with a lunch at Giri cafe or the beach of Cala den Serra. 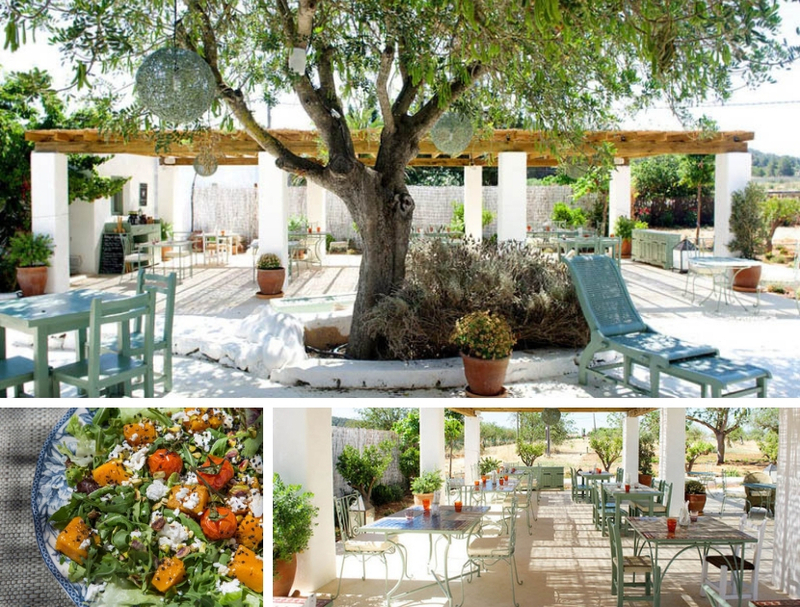 The boutique hotel Los Enamorados is located in the north of Ibiza. The owners are the French ex-basketball player Pierre Traversier and Rozemarijn de Witte, the founder of design studio Studio Room. This beautiful couple is not to be missed on the mural of the hotel. For years the small beach of Portinatx has been a neglected child. There never really was anything going on here, until Los Enamorados opened its doors. This hotspot is characterized by the beautiful design. Vintage furniture interspersed with sleek modern design. There is also a tasteful store with beautiful vintage furniture, art, decorations and fashion. 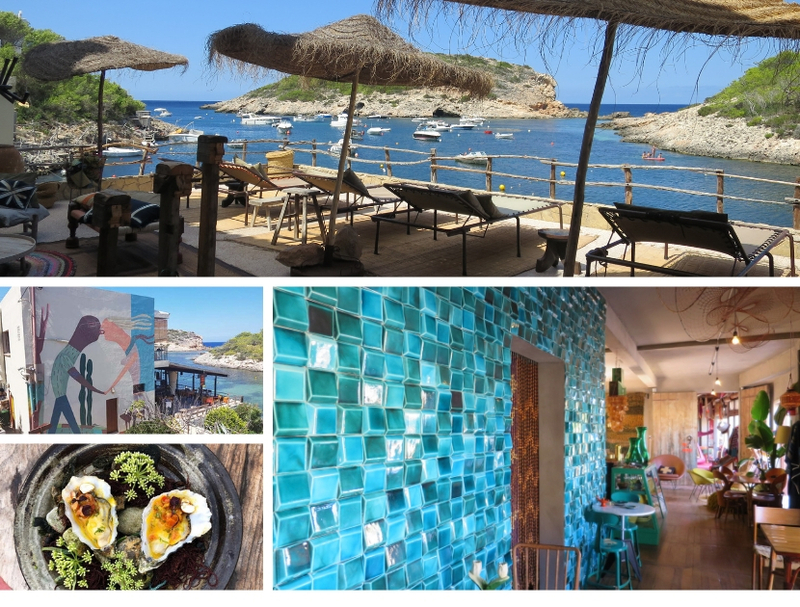 Although it is a hotel you can also have a drink here and of course dine in the restaurant, overlooking the sunset of Punta Galera. Please note that you reserve a table in advance. 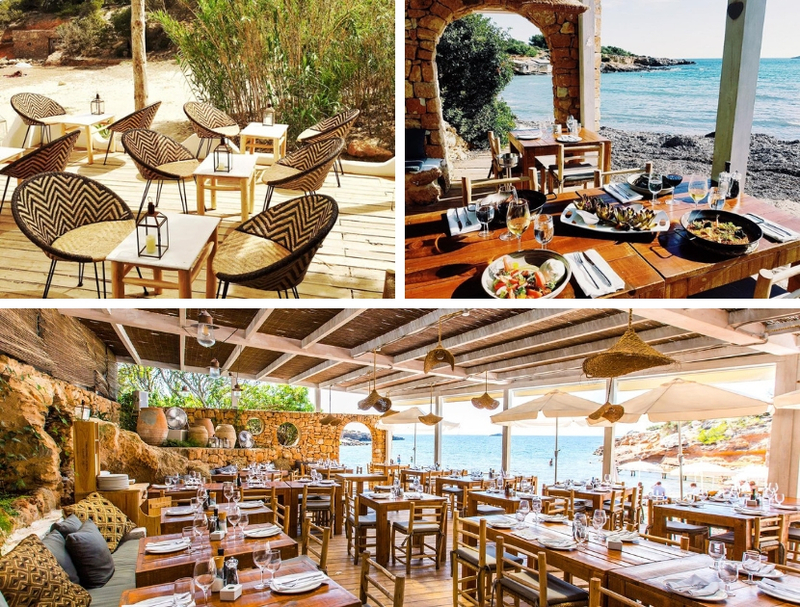 Aiyanna on Cala Nova is one of the new trendsetters of this beautiful beach. The whole restaurant exudes the atmosphere of Bali. Wicker chairs, large colored parasols and an excellent Mediterranean kitchen with many products from their own garden. The water at Cala Nova is the brightest of all the beaches on the east coast. 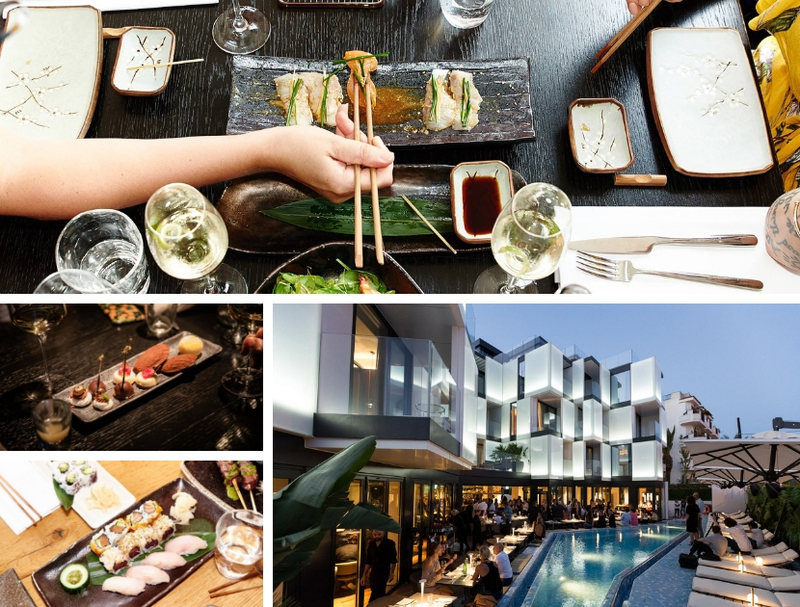 The well-known restaurant concept Izakaya has also settled in Ibiza. It is located at the small roundabout of Marina Botafoch in the Sir Joan hotel. 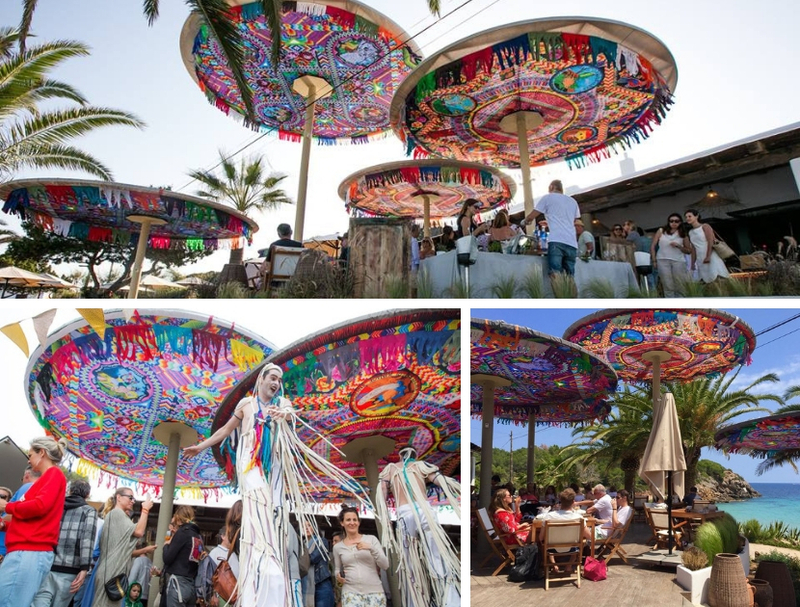 Botafoch is the well-known marina of Ibiza where many other hotspots can also be found. Izakaya, originally from Amsterdam, has a predominantly Japanese cuisine with some Peruvian fusion dishes. Eating at Izakaya is an experience, with live music in the evening. In the summer at sunset the pool turns into hotspot gathering, where trendy Ibiza people relax on the sunbeds with a cocktail. There is also a show kitchen for 15 people. No new hotspot on the list but Heart is still unique. Dinner-and-a-show at the highest level! 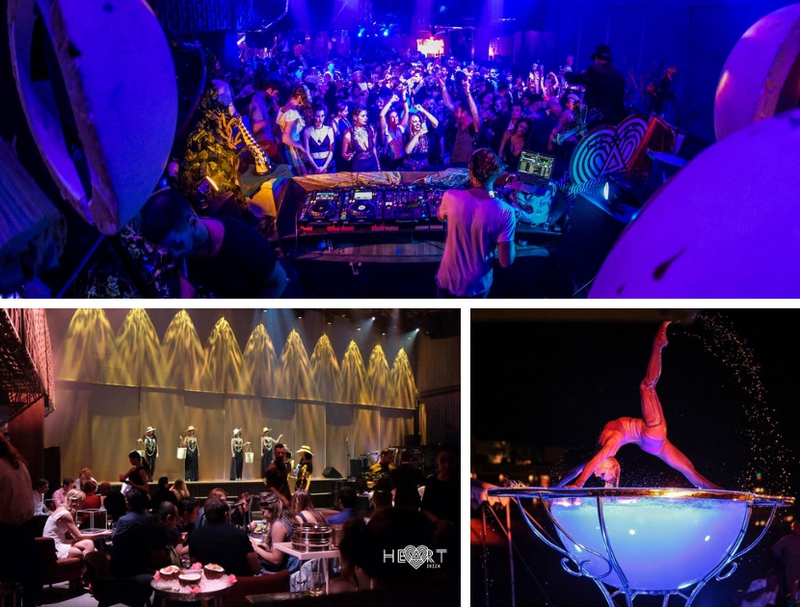 Heart is a project of El Bulli (Barcelona) and Cirque du Soleil. The result is a total dining experience. You start outside on the cozy roof terrace. Here come several snacks along, through beautifully decorated artists, who show different acts. Then you go downstairs in the dining room where the show starts. The show is not only on stage, but there are also artists walking through the pathways. 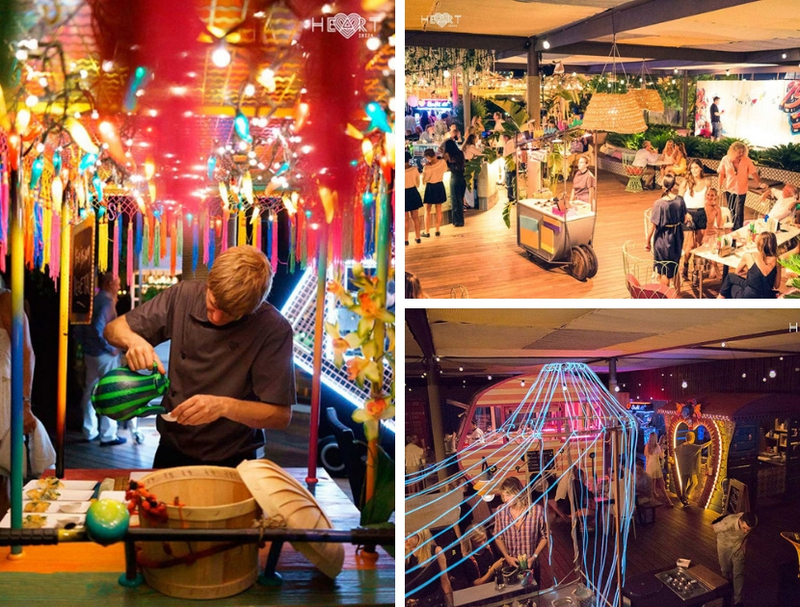 A unique experience where the level of food and entertainment is even higher than that of Lio. Of course, the setting can not be compared completely. Heart is not cheap but the experience is worth it. A classic! 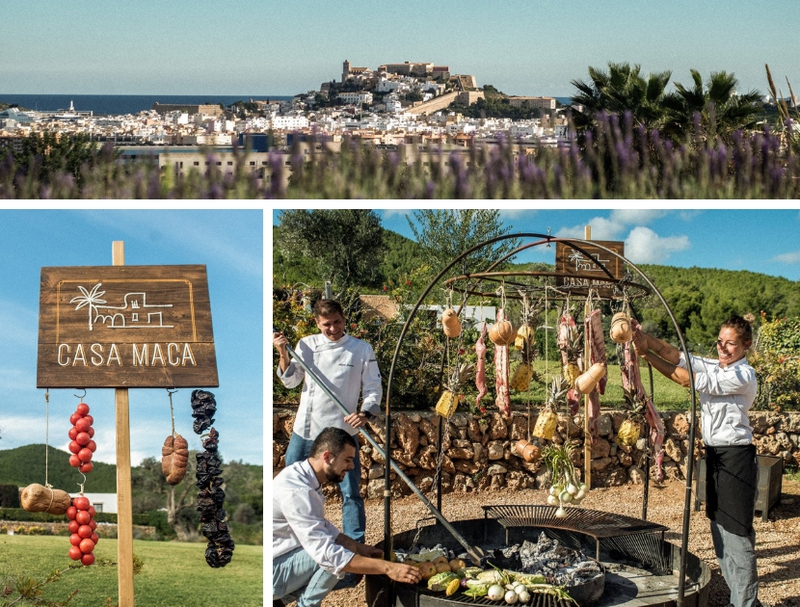 Somewhat outside the village of Santa Gertrudis is the “farm to table” restaurant Aubergine. A hotspot for people who like to enjoy country dining. The kitchen is Mediterranean with many products from their own garden or directly from the island. Aubergine is the little sister of Atzaro and has taken over a lot of her styling. 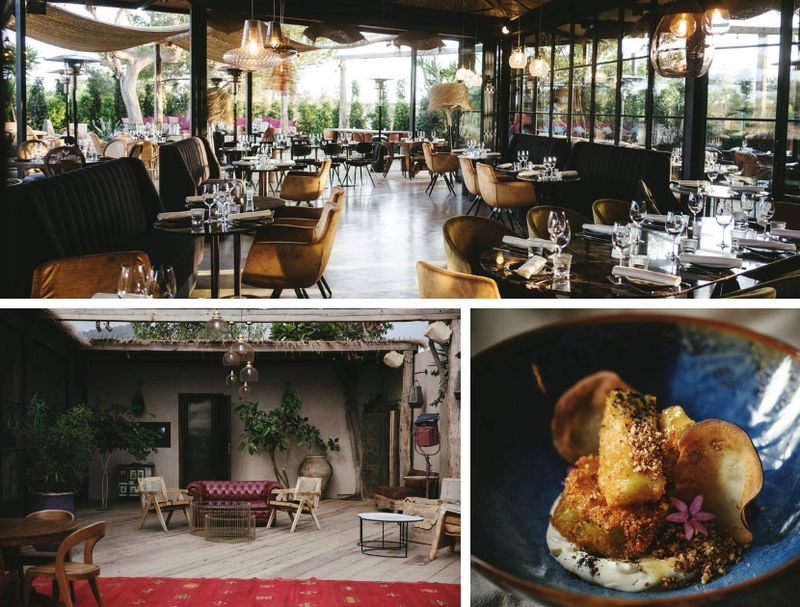 You can choose to dine in the garden or inside the finca. In the summer on Friday evenings there is live music with “Las Cajas Viejas”. On the same site there is also an organic shop, where you can buy some souvenirs. Think of lavender soaps, Ibiza bags and olive oil from the island. The restaurant itself here is actually not special. The place on the other hand is truly unique! It lies in the hills of Santa Agnes, with a panoramic view over the sea. The beautiful rock in the sea is called “The gate to heaven” because boats can sail underneath. Many people come to this place to serenely remember a family member who is no longer among them. We especially recommend to come here for the sunset. Enjoy the 180 ° view of the abyss while enjoying a drink on the rocks. This hotspot is also virtually undiscovered by the general public. A Greek restaurant which is actually much more than that. The atmosphere here is very cozy. Especially when twilight falls and the many lanterns and lights go on and the live music begins. A trendy place with a beautiful decor. In the evening after dinner, there is ample room for dancing. The souvenir shop is perhaps the best of all the restaurants we have seen. Nice unique items from designers of the island are offered here. It is a trendy place where the fun really ramps up in the evening. 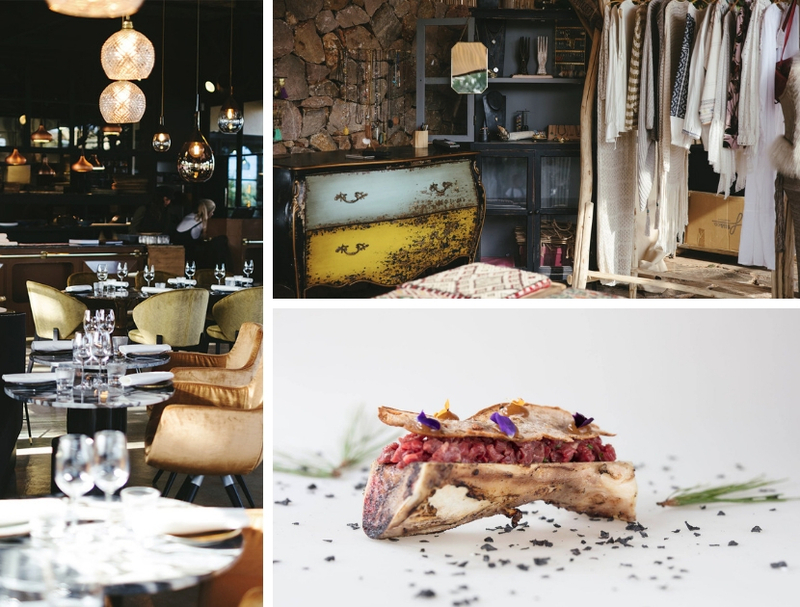 As far as we are concerned, one of the best new hotspots that you should definitely have seen. You really need to know this place, only accessible via an industrial zone. But halfway through this industrial zone there is a rural road towards the hotel Casa Maca. Slowly you ascend the hill where you arrive at an oasis of peace. 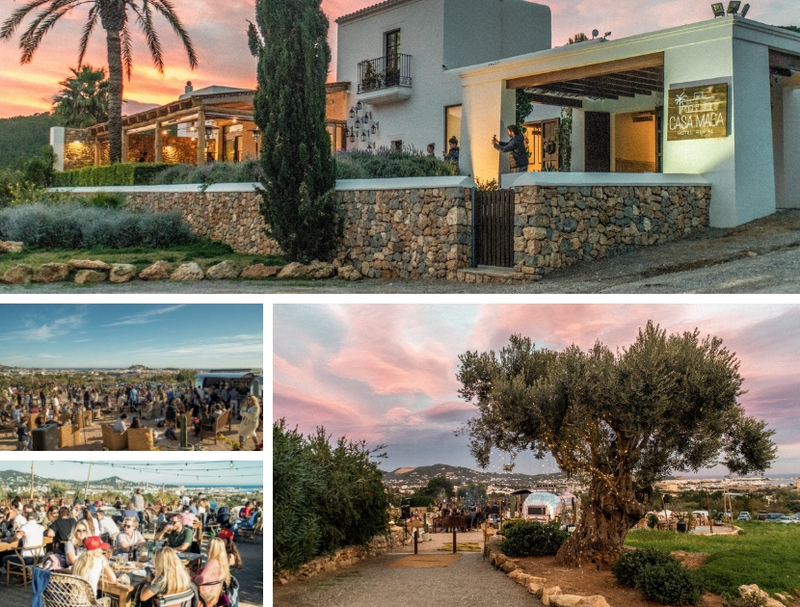 Large tables to eat, a delicious BBQ with meat from Ibiza farmers and vegetables from their own garden, a children’s corner where the children can draw under supervision or make jewelry and the cozy restaurant with a covered terrace. Every Sunday there is Sunday Roast (traditional English dinner with roast beef, baked potato and Yorkshire pudding) and there is often live music. But the best of all is the view of Dalt Vila. 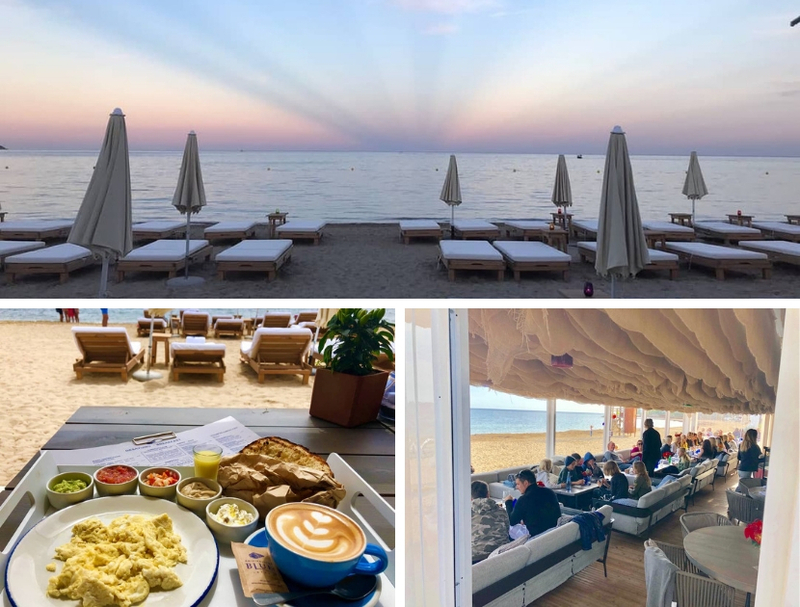 This trendy beach club started in 2018 on the boulevard of Santa Eularia when you walk towards Siesta. Spacious beach beds right by the sea, delicious cocktails and a nice menu including fresh fish, fusion dishes, a kids menu and tasty healthy snacks for the beach. Chiringue Blue has Valet Parking and the staff is super friendly. Overall a nice place to go with the whole family on a warm beach day. At 9 o’clock they are already open for breakfast. In the months of July and August we advise you to book a bed or table in advance! This hotspot is also virtually undiscovered by the general public. 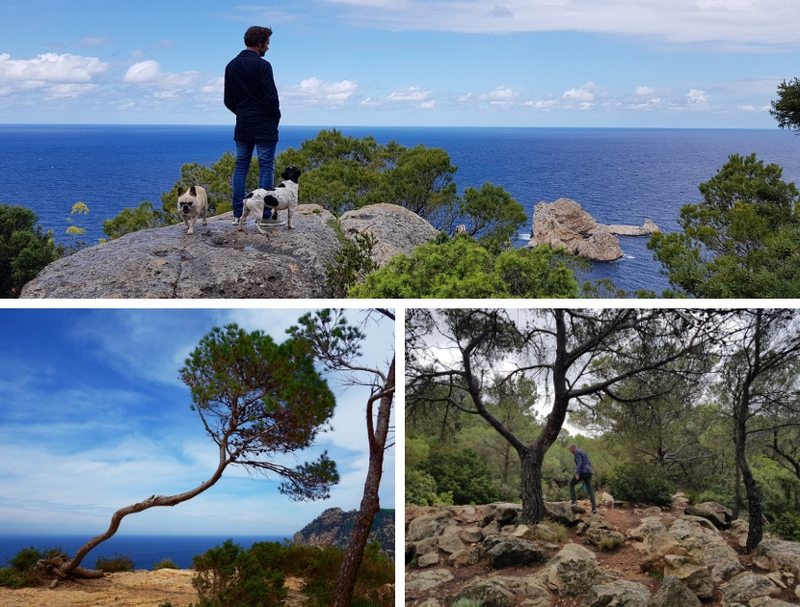 Two girlfriends, the Spanish Raquel and the German Julia, started this organic food market in 2018 in the orange grove of Agroturismo Can Jaume just past the village of Puig den Valls. You can chill out, while enjoying a smoothie in the hammocks or day beds and listen to live music. All drinks and snacks are organic, with many options for vegetarians and vegans. But of course there is roasted organic meat from the BBQ for meat lovers! 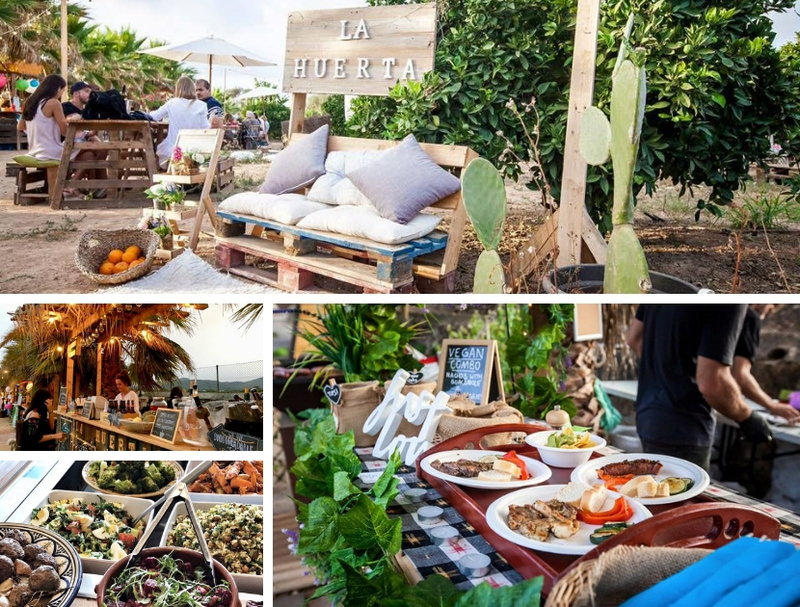 La Huerta (the vegetable garden) starts this year in April and is open on Sundays from 13.00 to 19.00 and in June, July, August and September, due to the heat, on Saturdays from 18:00 to midnight. The perfect ibiza villa is the corner stone of your holiday. Our team is happy to advise you and are always available by phone or e-mail. 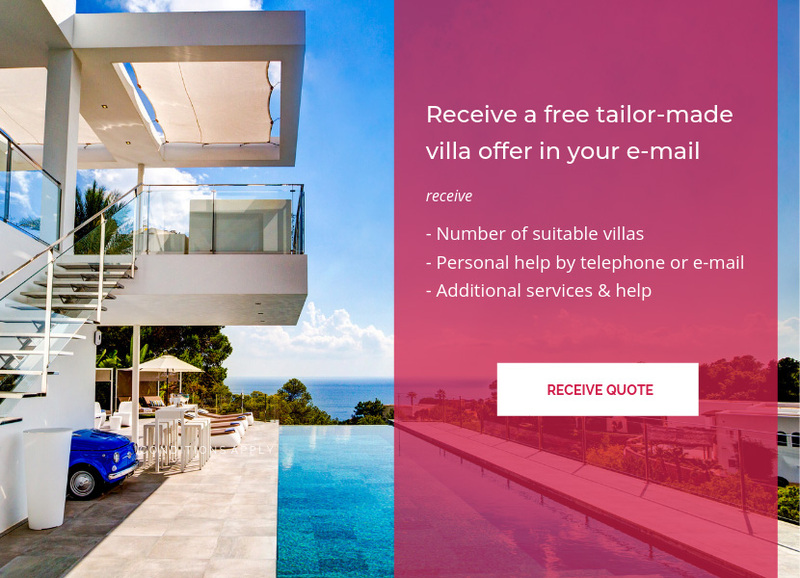 Send us your wishes and receive a free quote by email.